Come live in the wild! 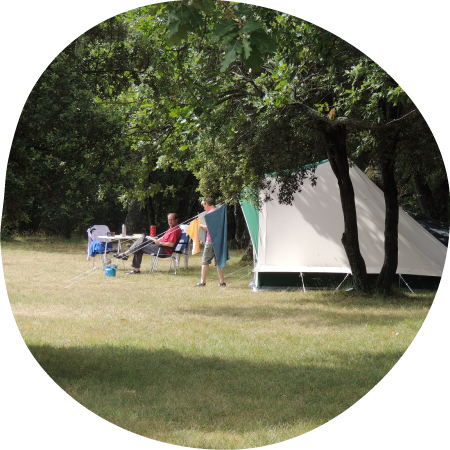 The pitches on our campsite measure approximately 250 m² with plenty of space between each. They are not defined by hedges in regular parcels, but are interspersed in and around the oak trees. 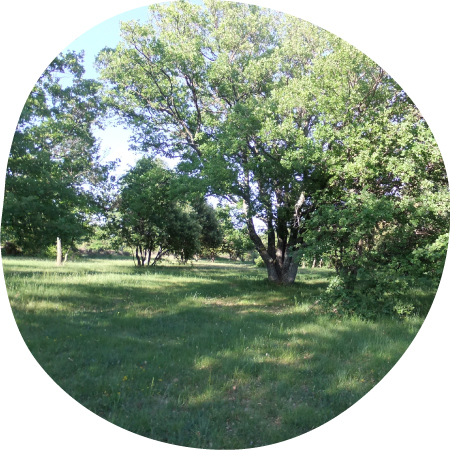 In the large spacious pitches located next to the shrubland, it really feels like you’re camping in the wild. If staying for one night only, there is space available at the fringes of the campsite – wild camping in complete tranquillity. Even at the height of the season, you don’t get the impression that the campsite is full! Our campsite is situated in an oak-tree wood that provides a unique shady setting greatly appreciated on hot summer days. Here you can spend a relaxing holiday surrounded by nature, away from the cares of everyday life. Depending on the season, this shady spot is filled with the sound of birdsong and cicadas during the day and the sound of crickets in the evening, as is typical in the region. Recruitment: a summer in Briange!